Wal-Mart is the largest retail chain in the U.S. and the largest business in the world. 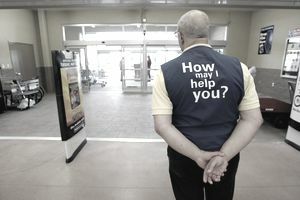 Perhaps because of that, a lot of people have a lot to say about the Wal-Mart business, Wal-Mart leaders, Wal-Mart customers, and shopping at Wal-Mart. Whether they love Wal-Mart or love to hate Wal-Mart, both the famous and not-so-famous have voiced their thoughts about the super chain.